Infection by the Legionella bacteria can cause Legionnaire’s Disease, a potentially fatal form of pneumonia. Legionella pneumophilia is a rod-shaped bacterium which belongs to the genus Legionella. 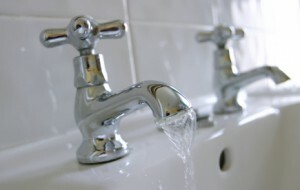 There are around 50 species of Legionella; it is naturally occurring in soil and water environments. Any water systems that have the right environmental conditions could potentially be a source for Legionella bacteria growth. At low temperatures (under 20°C) the bacteria survive but do not multiply, over 60°C the bacteria die, therefore the optimum growth of the bacteria is 37°C. Where there is stagnant water in a system, the bacteria will flourish. However the Legionella bacteria can only infect your body through inhalation of contaminated water droplets. This would be through systems such as hot tubs, fountains, cooling towers and/or taps and showers. By following the Approved Code of Practice by the HSE (ACoP L8) the risk of contamination of the disease will be minimised. This Code of Practice is designed to ensure that providers establish and maintain management systems which deliver consistent provisions for the prevention or control of Legionella. This guidance is primarily for those who manage or operate spa-pool systems and explains how to manage and control the risks from Legionella and other infectious agents. It will also help service suppliers, designers, manufacturers, importers, suppliers and installers of spa-pool systems meet their legal responsibilities. There are a number of resources and documents for sale on the BSI website.